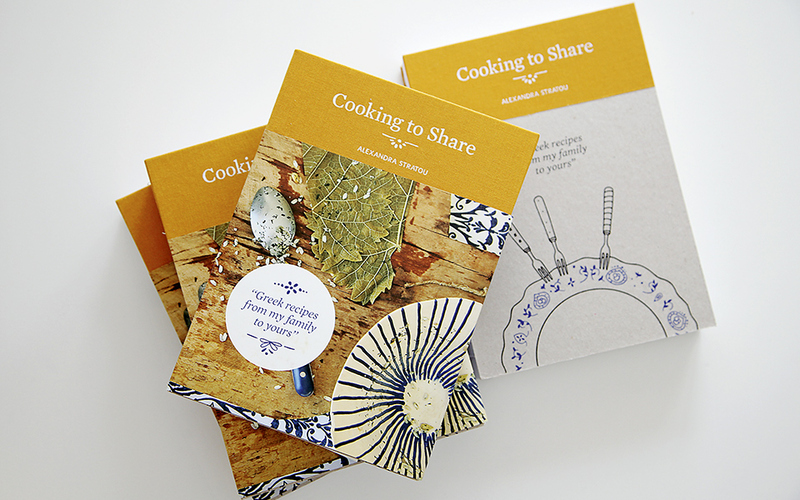 Alexandra Stratou's book, Cooking to Share, aims to bring recipes from her household into yours. Alexandra Stratou's cookbook has created a growing community of people who wish to keep tradition alive and sit for a meal with their loved ones. Alexandra Stratou, author and publisher of Cooking to Share, is Greek but “not the most conventional type.” She is cooking to share “Greek recipes from my family with yours,” using food as a medium to communicate and bring people together. Does she cook well? She learned how to cook professionally in Spain. Through a Kickstarter campaign she launched in March 2013, Stratou is inviting everyone to join this growing community of people who wish to keep tradition alive and sit for a meal with their loved ones. Cooking to share. Cooking with love. And sweet childhood memories. The need to explore her past was one of the things that prompted Stratou to create the book. Could you please name your three favorite recipes and explain why? Which recipes did you have to leave out of the book? I don’t really feel I left recipes out of the book; rather I left my own interventions to the recipes out of the book! Overall, it is quite a complete compilation of the recipes I grew up eating. How about family tradition? Flavors, memories, colors, ingredients; recipes that you share? 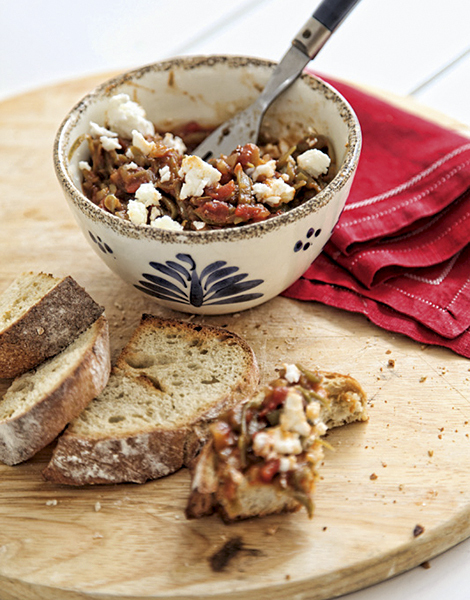 What makes your family cooking different to that of any other Greek house? The thing that makes my family’s cooking different to that of any other house is the role it played in my little microcosm. 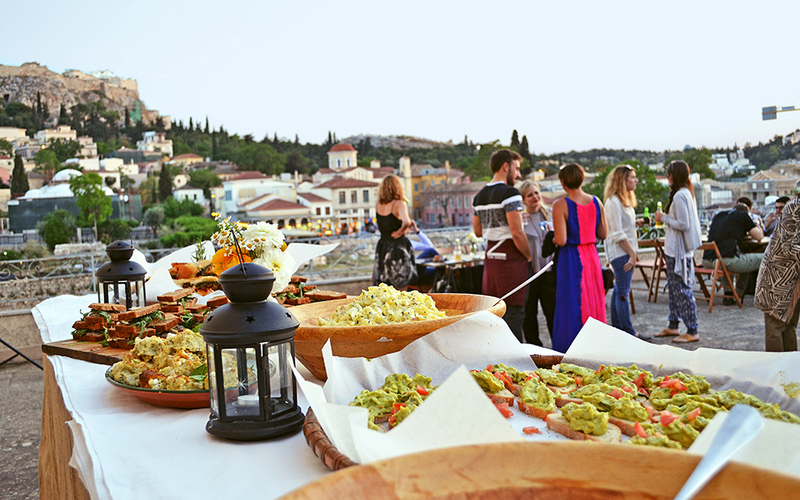 I grew up much like a foreigner in Greece, so food is what has given me a sense of Greek identity. Ok, I also think that we cook amazingly in our family, but I am sure everybody would say that about their family cooking. The reason I wrote the book was never because I thought my family cooking is unique. It was more of a personal need and gesture. Recipes hold within them the stories of times gone by. They are a beautiful way of keeping family history and values alive – they give us the ability to carry people and memories and wisdom into the present, much more efficiently than if we relied solely on words and imagination. How long did it take you to create the book, find a way to publish it and promote it? I started working on the book in April 2013. I had promised my Kickstarter backers that I would have it ready by September and, as you can imagine, that never happened. But on the 15th of December in 2013, after having worked non-stop for nine months, it was ready to go out into the world. It is a self published cookbook – which means that I am not only the author but the publisher as well. The promotion kind of happened by itself and I went with it – Cooking to Share seemed to have a destined path that I just responded to. It is currently in its third reprint and I now have an American publisher for a new edition, which will be out in April 2016. Same content, different name, worldwide distribution. Serious stuff. Circumstance, the personal need to explore my past through food, Kyria Loula – a fighter of a woman, the birth of my first niece, the love of connection. I would say I am passionate, patient when I want to, stubborn, argumentative, creative, romantically unrealistic, determined and loving. The author launched a Kickstarter campaign to self-publish her cookbook. The book is now in its third reprint with an American publisher lined up for a new edition. Favorite place in Greece? Do you have a favorite neighborhood? It is not a place but a constantly moving body of water – the Aegean. At the moment I am totally enthralled with Mets (Athens suburb). What are the things you love to do in your hometown? I love walking around the city on a weekend without much of a destination in mind, allowing the city to dictate my stops and starts. Do you take any inspiration from the city? More than anything, I take inspiration from the people that bring the city to life and the moments that make me feel lucky to be in this place right now. Like when I watch the sunset sky between the buildings; when I happen to be on a hill and see until the sea or the moment when the street lights start to flicker. Most surreal experience to date? Professionally, by far the fact that a Kickstarter backer of mine, called Chris, who has never met me, took my self-published cookbook to a bookshop in Harbor Springs Michigan (a place I had no idea existed), that the owner of the bookstore Katie showed the book to a representative of a branch of a large US publisher, that the publisher ordered a book on Amazon and that I got offered a deal in the first Skype voice call I had with them. Two months later, I signed a deal with them. There are still moments that I can’t believe this is actually happening. I would just love to fly; anywhere, over anything, into anything. The Kickstarter campaign. How did you manage to get the support of 500 people? What next? I put all my effort into communicating, in an honest way, what I wanted to do, and in creating a campaign that really represented my aesthetic, ways, creative skills and ambition. I think this is what people saw in my project, along with the fact that they related to my dream – if childhood is a time of sweet memory, we all want to visit our childhood once in a while and food is a great way to do it. Right now I would like to bring a group of people, that would otherwise never have the opportunity to eat together, to the same table and use food and care to make them equal for a moment.– i.e. a Syrian refugee, the head of a large multinational bank, the German minister of Finance, a Chinese multinational factory worker, a nine-year-old with its parents, an old Greek woman from a village somewhere in the forgotten rural areas of Greece, an influential figure from Hollywood, a 20-something unemployed youth… And I would like to have the opportunity to create these types of dinners more than once.